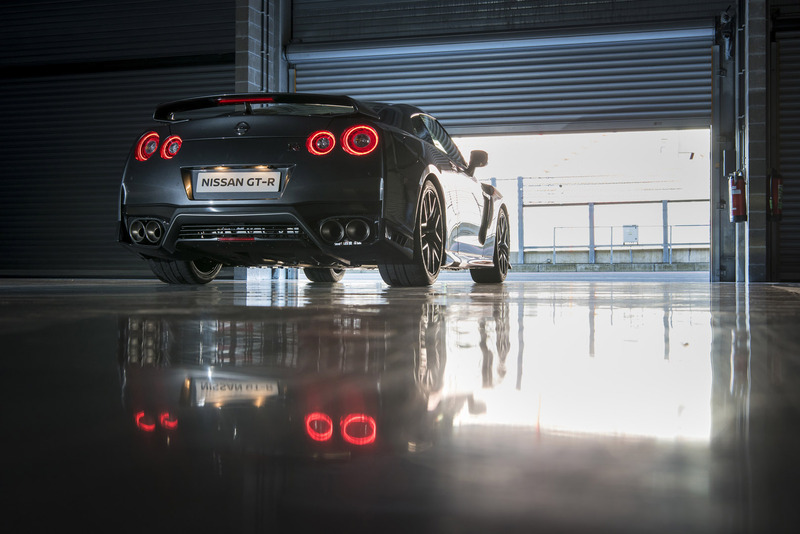 Since its launch in 2007, the Nissan GT-R has been at the cutting edge of the premium sports car sector – an uncompromising performance four-seater for enthusiastic drivers, a car which completely embodies Nissan’s Innovation that Excites motto. 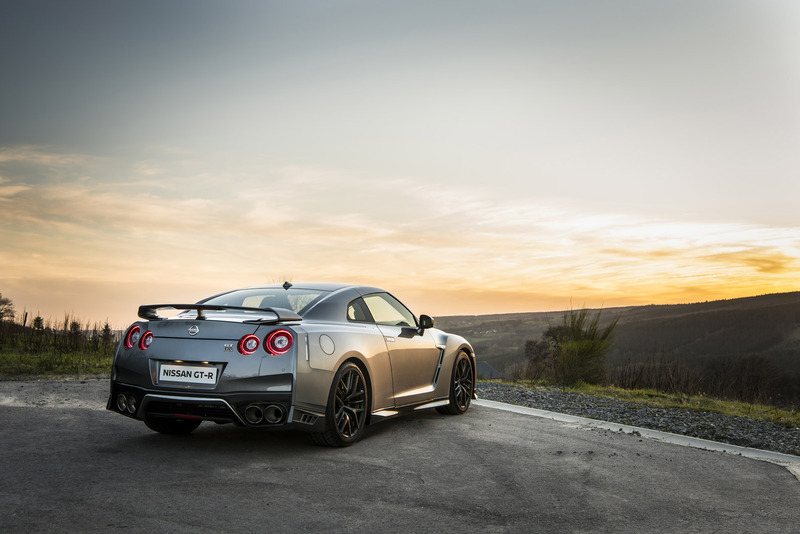 For 2017, the GT-R has been significantly updated to keep it where it belongs – on the tip of the tongue of car fans around the world. 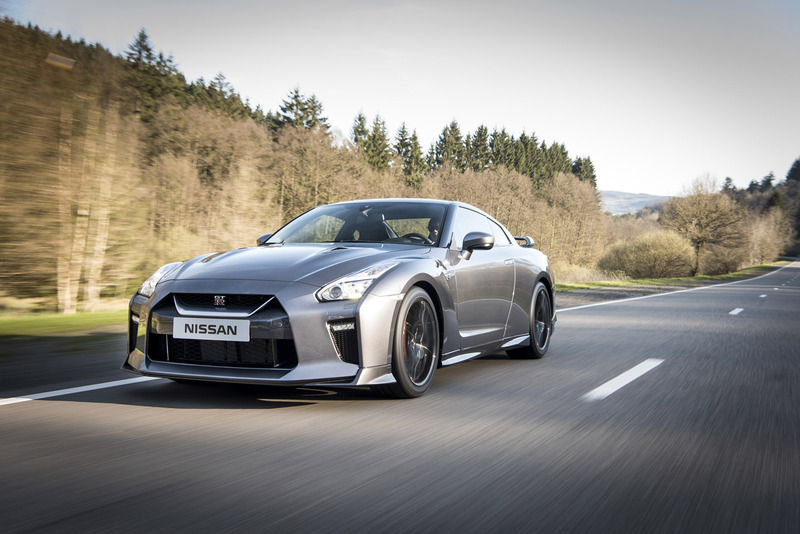 The new Nissan GT-R has an exciting new look both inside and out, as well as major driving performance enhancements in key areas, including a revised chassis and more power from its twin-turbocharged 3.8-litre 24-valve V6 engine. 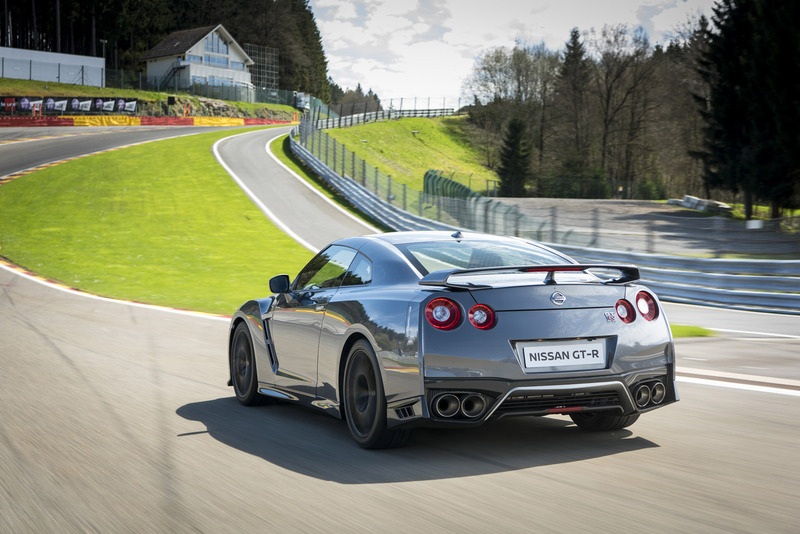 The new GT-R is also more comfortable than ever before, with a more sophisticated and premium quality interior. These revisions were presented for the first time at the New York International Auto Show in March this year. 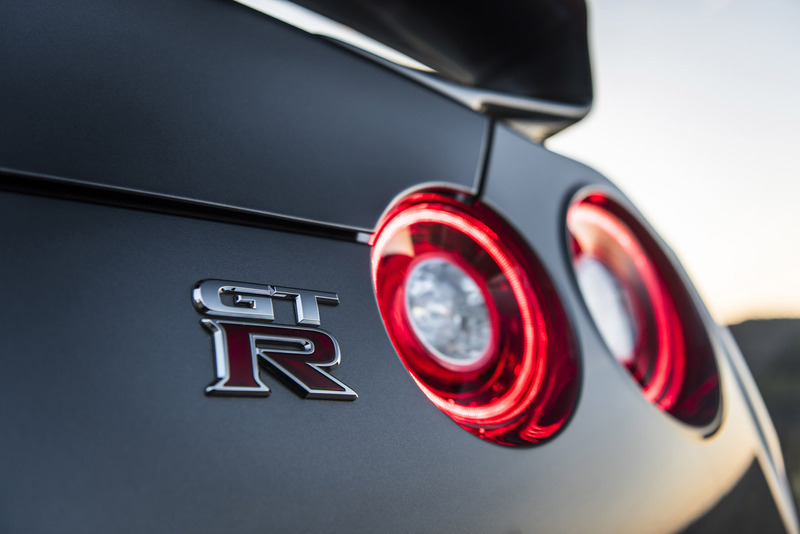 Quite simply, they represent the most significant changes to the GT-R since it was introduced in 2007. 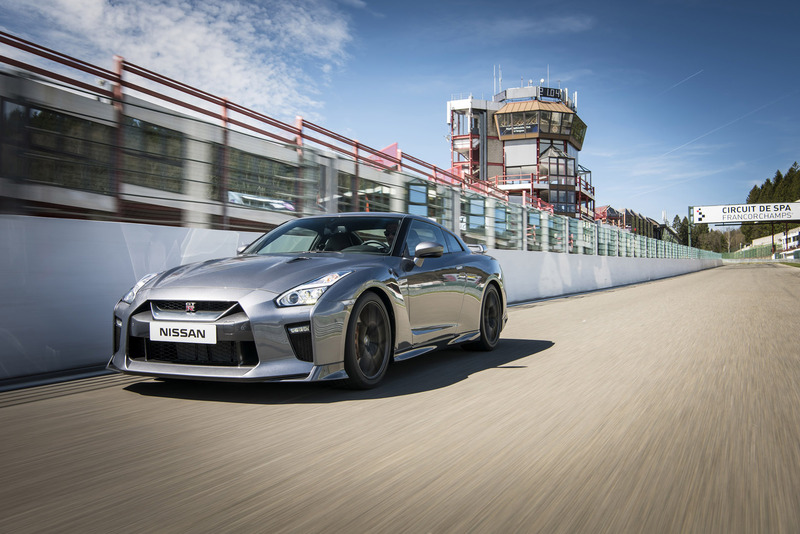 In the UK, the 2017 Nissan GT-R will be available in three grades – Pure, Recaro and Prestige. Pricing starts from £79,995 for Pure with Recaro from £81,995. Prestige is either from £82,495 with Black Touring Leather Seats, or £83,495 with Tan, Ivory or Red Touring Leather Seats. 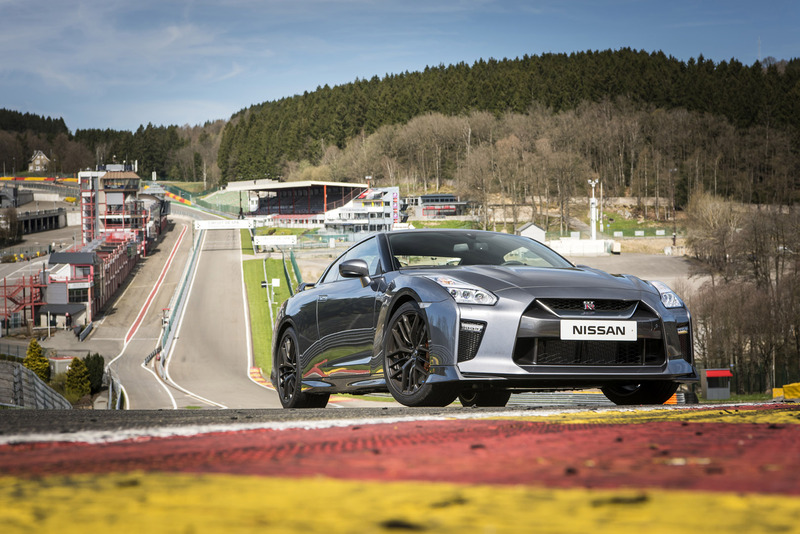 A Track Edition engineered by NISMO, specified at £91,995, will also be offered. 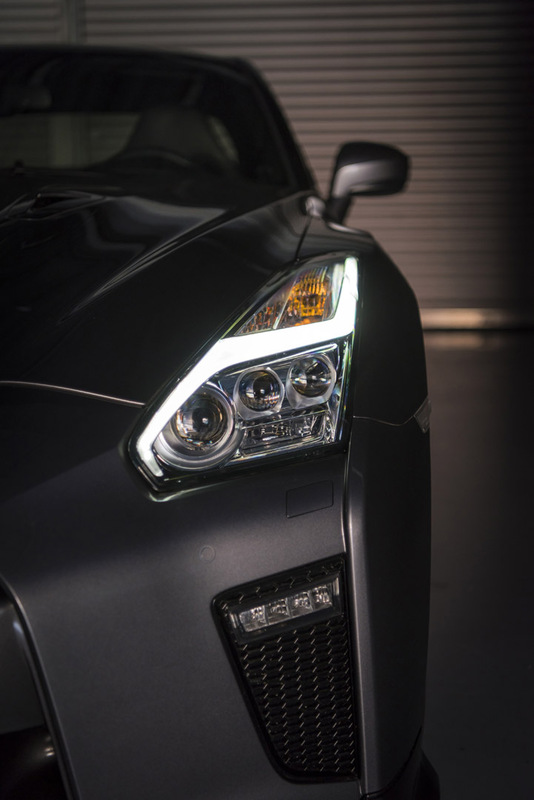 The new GT-R boasts a thoroughly refreshed exterior look that adds a high sense of style to what is already considered one of the most distinctive-looking sports cars in the marketplace. The front of the car sees a redesigned bumper, daytime running lights, and a new matte chrome finish “V-motion” grille, which represents one of Nissan’s latest design signatures. This distinctive grille has been enlarged to increase airflow to cool the engine without causing any additional drag, and the refined shape blends smoothly with the new bonnet. The bonnet’s structural rigidity has been increased, preventing deformation and greatly improving aerodynamic performance at high speed. 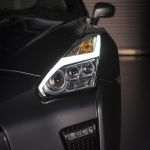 In fact, nearly all of the visual changes made to the GT-R’s exterior were intended to improve aerodynamic performance; more specifically, enhanced aerodynamic efficiency in three key areas: downforce generation, drag reduction and improved cooling of vital vehicle systems. The goal was to maximize cooling airflow, while at the same time keeping aerodynamic drag in check (i.e. not increase drag in one area of the vehicle as a result of improving cooling performance/airflow in another). In addition to the new grille and bonnet, the curving profile of the front under spoiler has been slightly extended and lowered by a few millimetres to improve airflow at the its lower edge. (The ground clearance of the previous model has been maintained.) Also, by reshaping the sill lip along the lower portions of the sides of the car, the amount of air being drawn underneath has been reduced, countering vehicle lift and improving stability. The C-pillars have also been redesigned, with the upper portion now shaped to deliver better airflow management by preventing the generation of a smaller vortex. 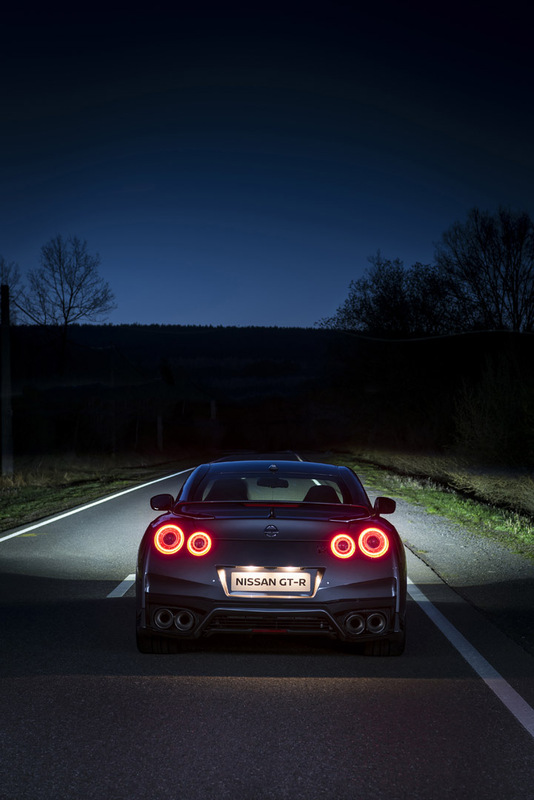 The rear of the new GT-R continues to be defined by its iconic round taillights, but look closely and you’ll notice a silver-finish diffuser and new side air vents that have been incorporated next to the quad titanium exhaust tips to improve the car’s aerodynamics. Also, the belt line that separates the lower black section from the body panel has been heightened to make the car look wider and more aggressive. 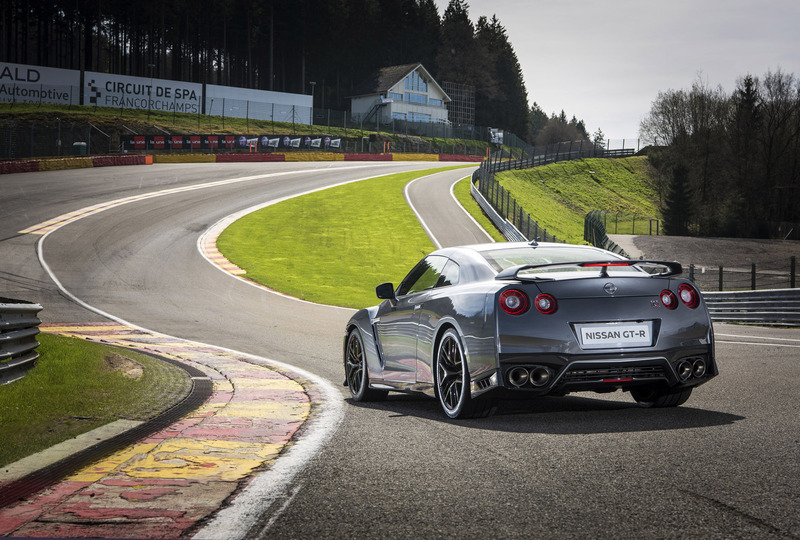 The rear bumper section now incorporates the same design featured on the GT-R NISMO for better routing of air at the lower portion of the rear of the vehicle. This has also led to less interference between the exhaust gases exiting the tailpipes and airflow along the rear side portions of the bumper for improved heat evacuation. Stylish new Y-spoke forged alloy wheels by RAYS are new for the 2017 GT-R that offer better wheel balance, lighter weight, and more strength. Featuring superbly crafted materials, the Nissan GT-R’s new interior delivers an unparalleled degree of comfort, luxury and everyday usability unlike any iteration before it. It’s obvious at first glance that the new cabin is more luxurious and upscale. Seamlessly wrapped in one continuous sheet of the highest quality Nappa leather, the new dashboard adopts a “horizontal flow” that delivers a sense of high stability for the car’s front-seat occupants, while the line from the instrument cluster to the center console provides a distinct driver-oriented environment for those behind the steering wheel. In keeping with the all-out performance benchmarks for the GT-R, the layer of cushioned material found beneath the leather is a new thinner material to help keep overall weight down, while still providing the highest quality of texture. Also, the leather is artfully stitched together throughout the cabin by a master craftsman. The centre dashboard layout has been improved and simplified, with the number of integrated navigation and audio controls reduced from 27 switches in the previous model to only 11 in the 2017 version. The navigation system controls and display have been placed slightly lower on the instrument panel for easier use and better forward visibility for both the driver and front passenger. Also, the redesigned navigation system layout has been improved, with the dials now machined from aluminium alloy for better feel and operation. An enlarged 8-inch touch panel monitor features large icons on the display screen that allow the user to easily manage the audio system, navigation system, telephone controls and other infotainment. The icon layout can be fully customised, and a new Display command control on the carbon-fibre center console allows easy operation without having to touch the monitor; a feature that comes in handy when traveling at high speed. Other convenient information features include the popular multi-function meter that allows the driver to customize the layout of important vehicle-specific performance information (including coolant temperature, engine oil temperature, engine oil pressure, transmission oil temperature, transmission oil pressure, turbocharger boost pressure, etc.). Also, the paddle shifters have now been mounted directly to the newly designed steering wheel (as opposed to the steering column), which allows the driver to select gears of the 6-speed dual clutch transmission without having to take his hands off the wheel mid-turn. Re-engineered to provide a more refined ride experience through improved comfort and support, the driver and front passenger seatbacks for the Prestige and Pure models now feature reconfigured urethane foam within their bolsters for better torso support. This results in less slippage during spirited driving and reduced fatigue on long commutes. And, by reconfiguring the support wires within the seatback frame, the engineering team was able to reduce the weight of each seatback while simultaneously reducing pressure points upon the torso of driver and passenger for a more relaxed seating position. 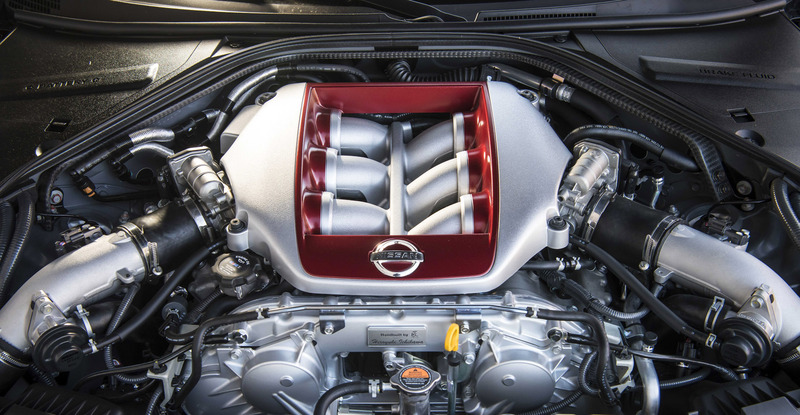 Output for the GT-R’s award-winning 3.8-litre V6 24-valve twin-turbocharged engine has been increased by 20 PS compared to last year’s model. 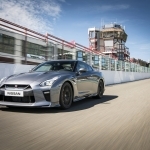 It now delivers 570 PS at 6800 rpm, thanks in part to an increase in boost pressure and an ignition-timing system that’s controlled at each individual cylinder—technology previously reserved for the GT-R NISMO. The new changes result in improved acceleration in the mid-range (3200 rpm and above) with maximum torque output available across a wider range of the powerband. 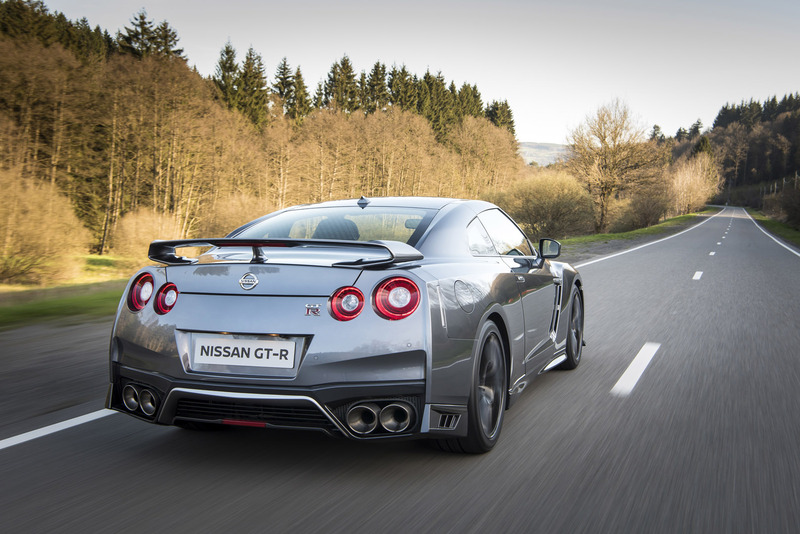 Also like the GT-R NISMO, by more precisely controlling ignition-timing at each cylinder, engine knock (detonation) has been significantly reduced while enhancing environmental performance through a cleaner, more efficient fuel burn. Dubbed the “VR38DETT,” the engine features plasma-sprayed bores (versus cast iron liners) for reduced friction, lighter weight, enhanced cooling, superior power output and fuel efficiency. It also boasts a symmetrical independent intake and exhaust manifold system with twin high-performance turbochargers; a secondary air management system for improved cold-start emissions performance; a thermostatically controlled oil-cooling system; an oil scavenger pump to maintain oil flowing to the turbochargers; and a lateral wet and dry sump oiling system. Each engine is hand-assembled from beginning to end in a special clean room by meticulously trained technicians. An aluminium plate is added to the front of each engine showing the name of the TAKUMI engine craftsman. Also new is a titanium exhaust system that better manages the high temperatures of the exhaust gas from the engine. The system includes a NACA duct on the vehicle’s undertray, which guides air into the rear diffuser section to help cool the silencer and evacuate hot air from this section of the vehicle. The transmission shift-management control of the sequential 6-speed dual clutch transmission has been updated for better refinement and performance in a variety of driving situations. For example, when the vehicle begins moving from a standstill at a slow rate of acceleration, the gear shift change from 1st to 2nd gear is now much smoother than before. 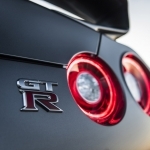 With the previous GT-R, once the vehicle began moving from a standstill under light throttle, the engine torque would be reduced, which could in turn produce a somewhat sluggish response. 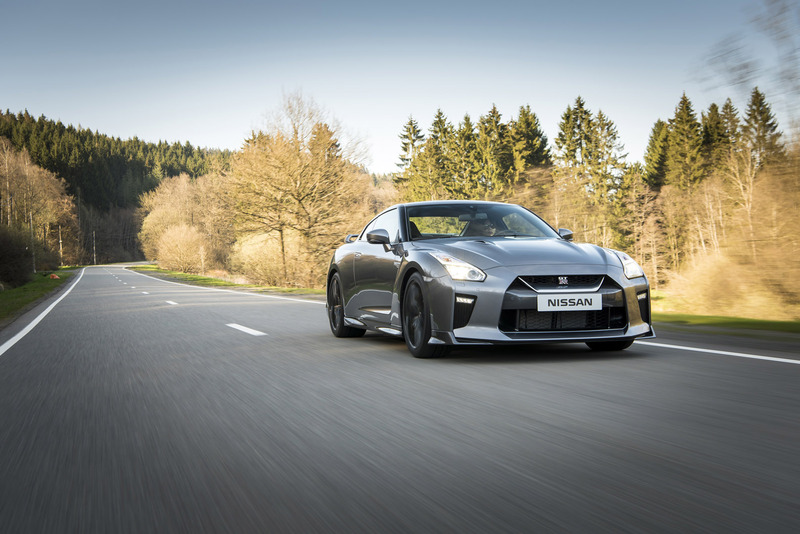 For the 2017 GT-R, under similar circumstances, the engine torque is not reduced, helping to improve smoothness upon initial acceleration even under light throttle. What’s more, the exhaust note is noticeably quieter for a more pleasant experience during normal every day driving. When driving in low-load conditions—such as on city streets or parking lots—the increased preciseness of the shift-actuator allows the transmission to operate more quietly. 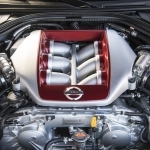 Engine power is transferred to all four wheels of the GT-R via the world’s first independent rear transaxle called the ATTESA E-TS all-wheel drive system. 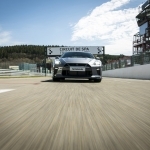 During normal driving, the GT-R behaves like a rear-drive vehicle, with the torque split set at 0:100, but it can be adjusted up to 50:50 depending on speed, lateral acceleration, steering angle, tire slip, road surface and yaw rate. A special GT-R-specific yaw-rate feedback control measures the differences between the target yaw rate calculated from the steering angle and actual yaw rate detected by the yaw-rate sensor and G sensor, and adjusts the torque bias accordingly. 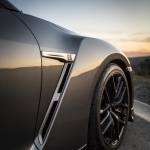 The GT-R’s Premium Midship Platform layout places the transmission, transfer case and final drive at the rear of the vehicle, without the use of traditional torque tubes, allowing the suspension to operate independently and optimizing weight distribution and maximizing tire grip at each corner. 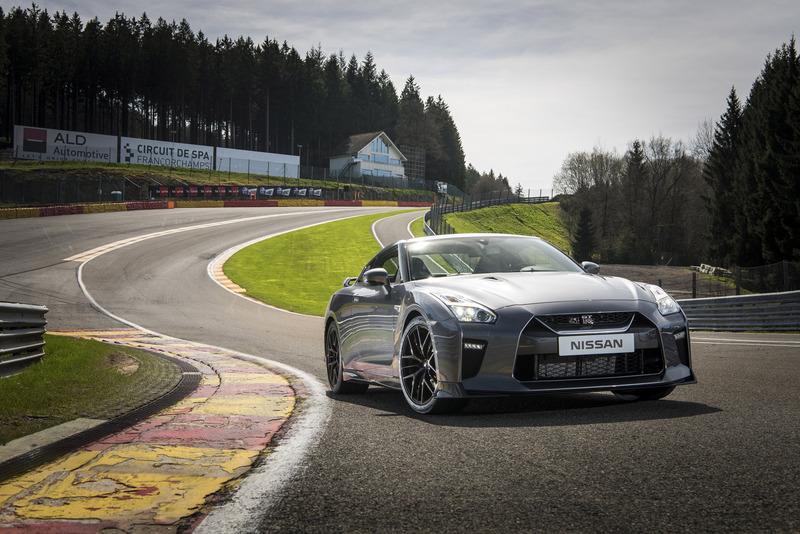 For 2017, the handling capabilities and athletic performance of the new GT-R has been taken to another level, thanks to a refined suspension system and a more rigid body structure that results in improved handling and better overall vehicle stability. 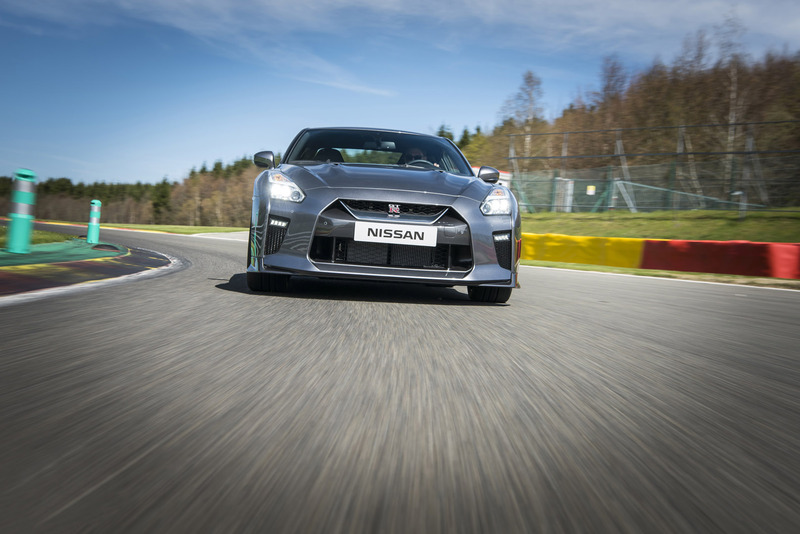 Intensive engineering updates around the windshield frame, which is housed within the A-pillars, have increased the structural rigidity of the GT-R’s front end, resulting in reduced deformation and crisper turn-in response. Reinforcements around the trunk have resulted in an increase in stiffness at the rear of the car. As a result, the rigidity levels at the front and rear of the car are more uniform, resulting in a better balanced chassis. 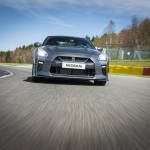 The GT-R’s special Bilstein® DampTronic driver-adjustable shock-absorber system—which utilizes information from multiple vehicle systems to provide appropriate damping forces and high level of control for a variety of driving situations—has been enhanced by way of a new valve housing that reduces resistance losses. Also, rigid attachment points for the suspension system enhances cornering stability and turning response by allowing all of the wheels to be placed under even a greater load while maintaining optimal contact with the road surface. Like the previous model, the DampTronic system features three driver selectable settings: Normal; Comfort, for maximum suspension compliance; or R. The same three-stage adjustability is also available for the VDC system and transmission shift operation. For 2017, the “R” and “Comfort” settings now offer the driver enhanced sportiness and a smoother ride quality. Because of the increase in structural rigidity, the “R” mode now enables the vehicle to achieve the same yaw rate with reduced steering angle for a crisper, more communicative steering response, while the “Comfort” suspension setting produces less vertical G-loading in testing when compared to the “Normal” suspension setting. 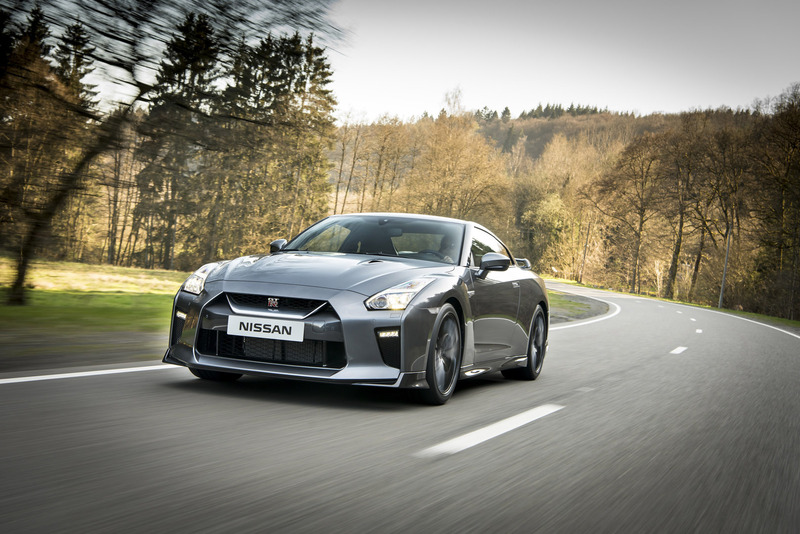 And, speaking of steering, the GT-R’s system—a speed-sensitive power rack-and-pinion design with aluminium steering rack, four-point mounting and stiff insulators—possesses sharper response during spirited driving, with reduced effort for around-the-town commutes and exceptional feedback on the open highway. 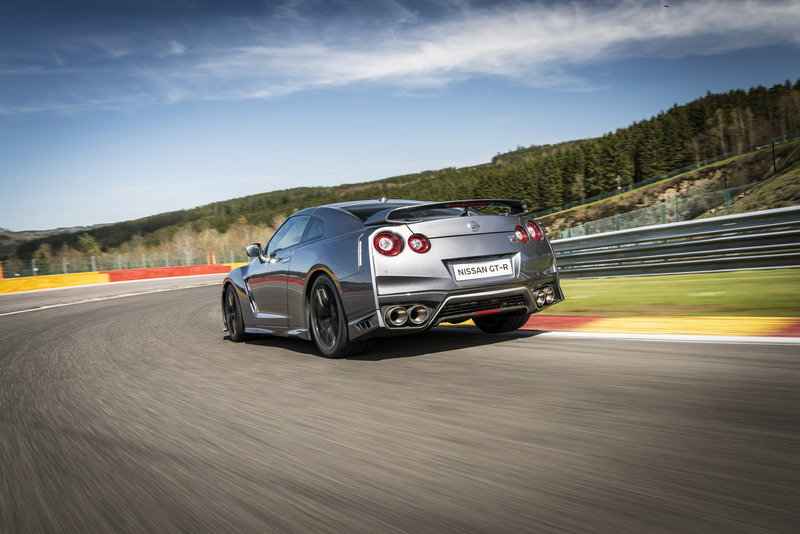 At the test track, the new GT-R demonstrated its awesome cornering prowess by going four percent faster through the slalom than the previous model. Also, its straight-line stability at high speed (155mph/250 km/h) has been greatly enhanced while requiring less steering correction and inputs; tests revealed a steering correction decrease versus last year’s model. 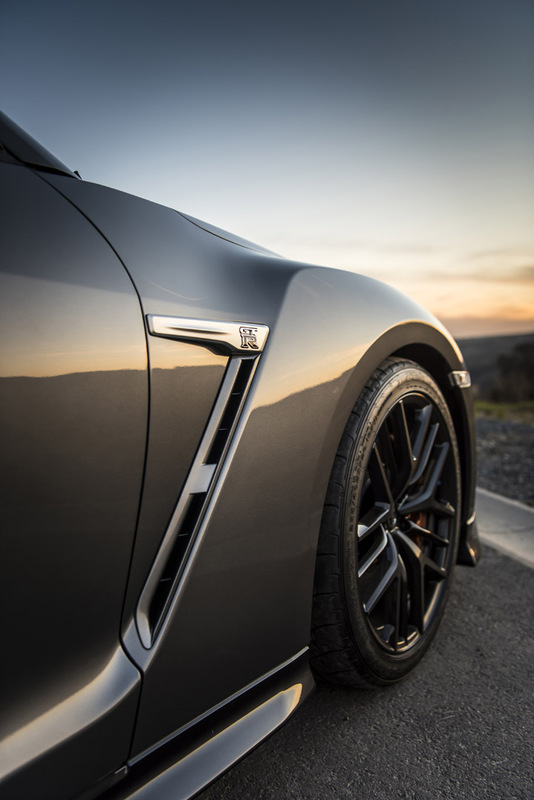 With its enhanced body/chassis structural rigidity, more efficient suspension system, and fitment of tires with improved lateral stiffness, the 2017 Nissan GT-R rewards the driver with better handling capability, increased vehicle stability and a more comfortable ride than ever before. 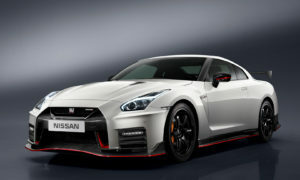 By removing unwanted noise while concurrently augmenting the welcome sounds that please the ear—specifically the pulse-quickening sounds coming from the GT-R’s free-flowing quad-exhaust—the new GT-R invigorates the senses like never before, while maintaining a much quieter cabin at cruising speeds. The Active Noise Cancellation (ANC) system identifies and reduces unwanted low-frequency sounds by using strategically placed microphones within the cabin and using a sound wave at the same amplitude through noise cancellation speakers to mask unwanted sounds. Improved sound absorption material behind the instrument panel, an acoustic windshield, a dashboard insulator and noise insulators housed within the rear fenders have been engineered to act as countermeasures to remove undesirable noise from both the engine compartment as well as the rear tires. Additionally, the electronic control valve housed within the new titanium exhaust helps to control muffler resonance, which could otherwise create an unwanted “booming” sound from the exhaust system; ANC and the exhaust’s electronic control valve essentially eliminate this issue by controlling such unwanted low frequency sound. Also, thanks to the fitment of new titanium mufflers with an electronic control valve, Active Sound Enhancement (ASE) brings the engine’s power directly into the cabin. ASE defines the sound frequency and volume of specific targets (such as the exhaust note) while simultaneously comparing it to pertinent information including engine speed and other key vehicle parameters. It processes the sound signal through the audio system’s amplifier, then releases it into the passenger compartment through the speakers. 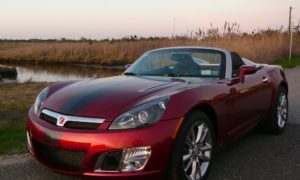 The driver can vary the sound control capability through the different vehicle mode settings—Normal, Comfort and R. Also, an exhaust sound control switch allows for a quieter engine start. By pressing the exhaust sound control switch prior to engine start, this will close the electronic valve within the exhaust system for more quiet operation at engine startup and continue for a brief time while the vehicle is driven with the engine running at low rpms. There is a 10 dB difference between having the electronic valve within the exhaust system closed and opened—a substantial difference in volumetric sound quality to the human ear. Along with the increased structural rigidity of the platform that aids with occupant protection, standard safety items included on every new 2017 Nissan GT-R consist of the Nissan Advanced Air Bag System (AABS) that features dual-stage supplemental front air bags with seat belt sensors and occupant classification sensors that can vary the rate of air bag inflation based upon seatbelt usage and crash severity; a pair of side-impact supplemental air bags that are integrated into the front seats so that they move with the driver/front passenger as the seating position is adjusted; roof-mounted curtain side-impact supplemental air bags; energy-absorbing steering column; and LATCH System (Lower Anchors and Tethers for Children) to properly secure LATCH-compatible child restraints without having to use the seatbelts. Other standard safety technologies include Advanced Vehicle Dynamic Control (VDC) stability control system with three driver-selectable modes (Normal, R-Mode, Off), Electronic Traction Control System (TCS), Anti-Lock Braking System (ABS) and Electronic Brake force Distribution (EBD), RearView Monitor, Tire Pressure Monitoring System (TPMS) and automatic on/off headlights. Originally ushered into the Japanese auto manufacturer’s model lineup as a flagship vehicle to demonstrate the company’s advanced automotive technologies and performance capabilities, the Nissan Skyline GT-R has become a revered fixture in not only the global automotive enthusiast community but has transcended the car world to become an icon in popular culture through blockbuster motion pictures as well as video games. After making its debut at the Tokyo Motor Show in the fall of 1968, a production version of the all-new GT-R was introduced to the public in February 1969. Beneath the hood of this new model was the S20 powerplant, derived from a high-performance DOHC 24-valve engine of the R380. Capturing its first overall race victory at the 1969 JAF Grand Prix, this first generation GT-R was well known for its 0-400 m time of 16.1 seconds and a top speed of 124mph. World’s first mass-produced four-valve DOHC engine. High-performance technology/features include variable ratio steering, MacPherson strut front suspension, semi-trailing arm rear suspension, limited slip differential (LSD), full bucket seats, 100-litre fuel tank. Scored 52 career race victories in Japanese touring car competition, including a miraculous 49 consecutive victories. Launched in November 1972, the second generation GT-R became available to the public in January of the following year. Powered by a 24-valve DOHC inline 6-cylinder engine (S20), it was one of the first Japanese cars to include disc brakes at all four wheels. Its advanced engineering endowed it with spirited performance, making it very popular with enthusiast drivers. 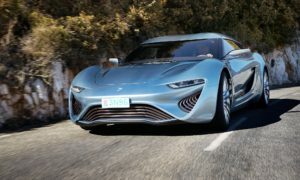 However, production was halted after only approximately 200 units when much stricter exhaust emission regulations were introduced in its home market. 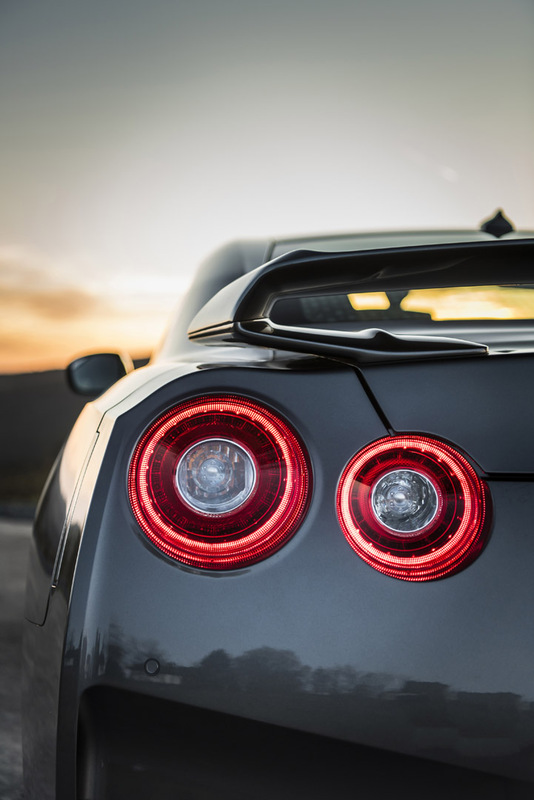 With its excellent performance, beautifully sculpted exterior body lines and ultra-low production volume, the second generation GT-R has become a much sought after and prized collector car. High-performance technological features include 24-valve DOHC engine, full transistor igniter, double roller-type timing chain, variable ratio steering, MacPherson strut front suspension, semi-trailing arm rear suspension, limited slip differential (LSD), full bucket seats. The GT-R model was revived after a 16-year absence 1989. Known as the R32, it was powered by a 2.6-litre DOHC inline 6-cylinder engine (RB26DETT) that produced 280 PS, this was the first GT-R model that incorporated the now trademark all-wheel drive (the previous generations were rear-wheel drive vehicles). 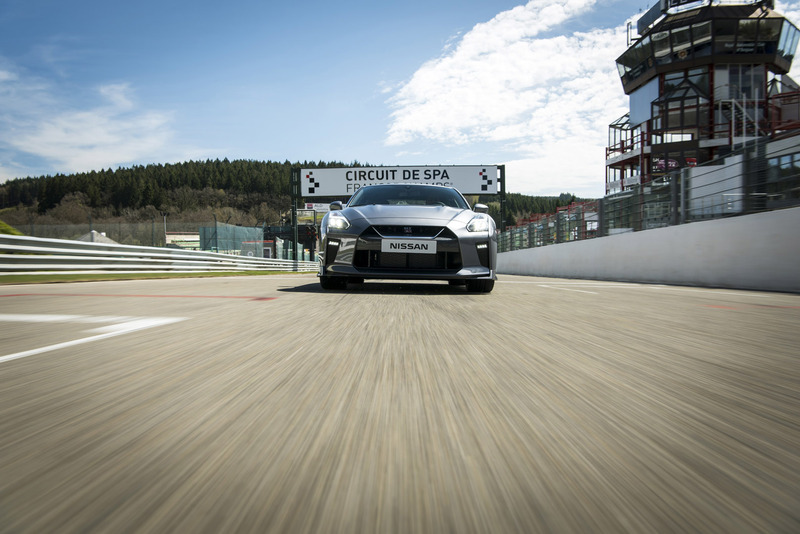 With its sophisticated electronically-controlled ATTESA E-TS and multilink suspension, the third generation GT-R holds the envious distinction of winning every single race it entered in the All-Japan Touring Car Championship. High-performance technology/features include 2.6-litre DOHC engine, ATTESA E-TS/4WD system and front and rear multilink suspension. Although slightly larger and heavier than the previous generation model, the fourth generation GT-R, dubbed the R33, quickly distinguished itself with improved stability by way of better weight distribution, a much stiffer body structure, improved traction control and outright faster speed. 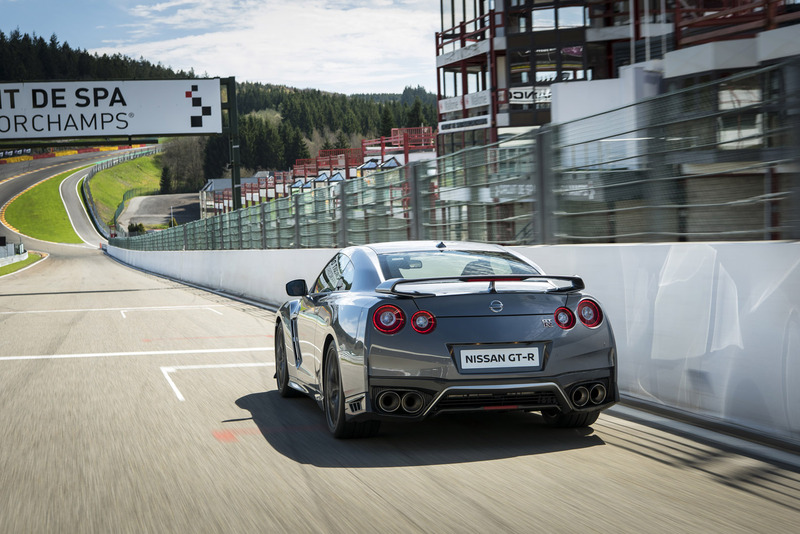 In fact, it set a lap time on the famed Nürburgring Old Course (“Nordschliefe”) of 7 minutes 59 seconds—a remarkable 21 seconds faster than the R32. High-performance technological features include enhanced aerodynamics and a strengthened body with reduced weight for a lower center of gravity/improved weight distribution. The R34 GT-R was the last version of Nissan’s flagship supercar powered by the RB26DETT engine and featuring the ATTESA E-TS 4WD system. Thanks to increased structural rigidity for the platform as well as being dimensionally more compact than its predecessor (the R34’s wheelbase was 55 mm shorter than that of the R33 model), the fifth generation GT-R demonstrated even better handling prowess and performance. 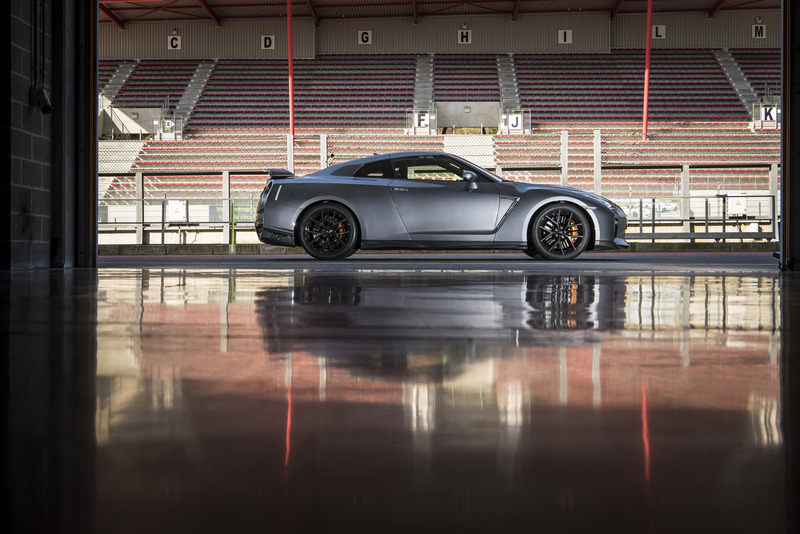 Improved aerodynamics, including a new underbody design that generated significantly more downforce, greatly aided this muscular-looking GT-R’s athleticism. High-performance technology/features include strengthened body structure, increased engine torque, limited slip differential and the fitment of a 6-speed transmission for the first time. First unveiled to the public as a GT-R concept car at the 2005 Tokyo Motor Show with the production car version making its debut at its home market show exactly two years later, Nissan’s iconic high-performance flagship model remained true to its roots by offering exhilarating handling and performance through the latest high-tech automotive technology. 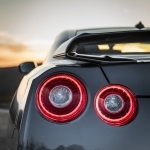 Now accompanying the GT-R’s signature four round taillights were a highly potent twin-turbocharged V6 engine (in place of the former straight-6) and a technologically advanced road-grabbing all-wheel drive wrapped up in a thoroughly modern exterior design that looked as sleek as it did muscular. High-performance technology/features include twin-turbocharged 3.8-litre V6 engine, plasma-transferred wire arc sprayed cylinder liners, sequential shift 6-speed dual clutch transmission with paddle shifters, highly advanced ATTESA E-TS 4WD/Nissan’s Vehicle Dynamics Control (VDC-R) systems.